Lukas Peet, Hinterland Design, Barter Design Co. and other local talents shone at Vancouver’s interior design show, which revelled in the West Coast’s obsession with nature. But the fair also had an exciting international flavour. Azure editor Catherine Osborne picks her favourite moments. Besides making very good sofas, Montauk is great at marketing. As proof of that, the Montreal manufacturer’s clever booth was given over to its latest sofa, the elegantly contoured yet generously sized Sara. 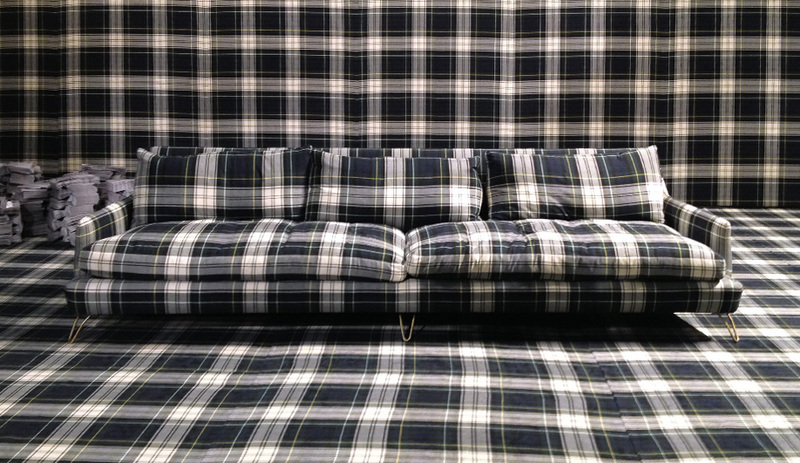 Positioned centrally, the single sofa was decked in tartan to match the floor and walls. Even the staff wore corresponding kilts and vests. The loud sofa is back. 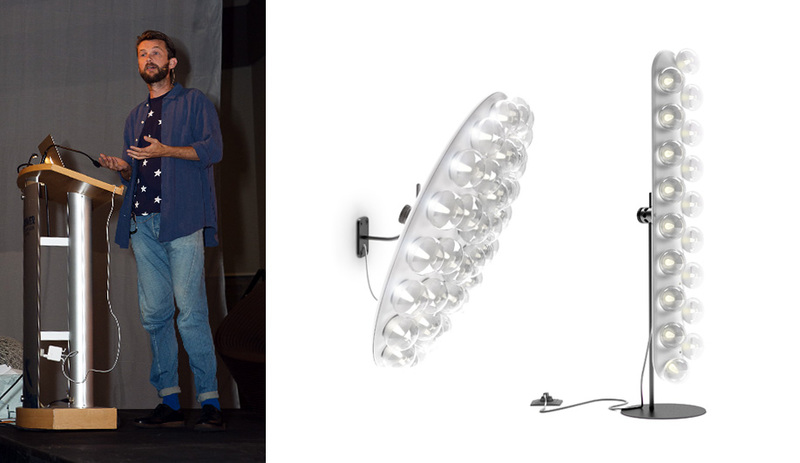 Rotterdam designer Bertjan Pot, on hand to launch a lighting line for Moooi, spoke to a packed audience about how his quirky designs have come about more on impulse than by plan. His Downstairs fixture – a step ladder covered in light bulbs – was first made in 2012 for a restaurant next door to his studio. Pot just happened to buy a step ladder around the same time that he was asked to make a fixture for the dining spot, and it inspired him to hang ladders clad in disco bulbs upside-down above the tables. His Prop lights for Moooi are an evolution from that playful moment. 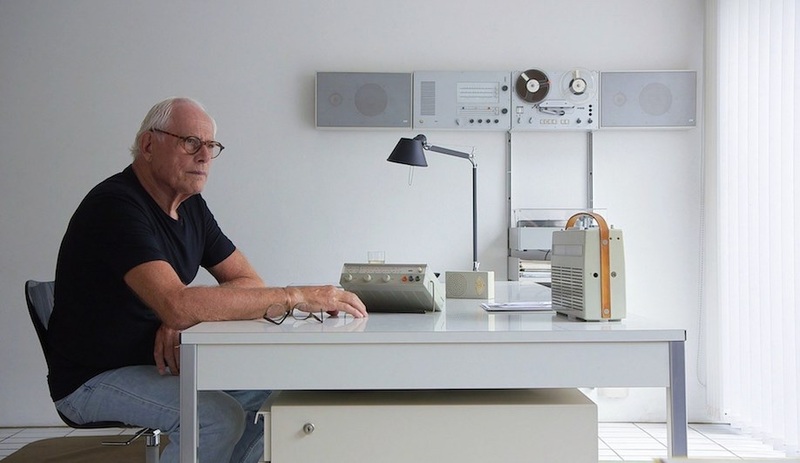 Mr. Pot: You make good design look easy. 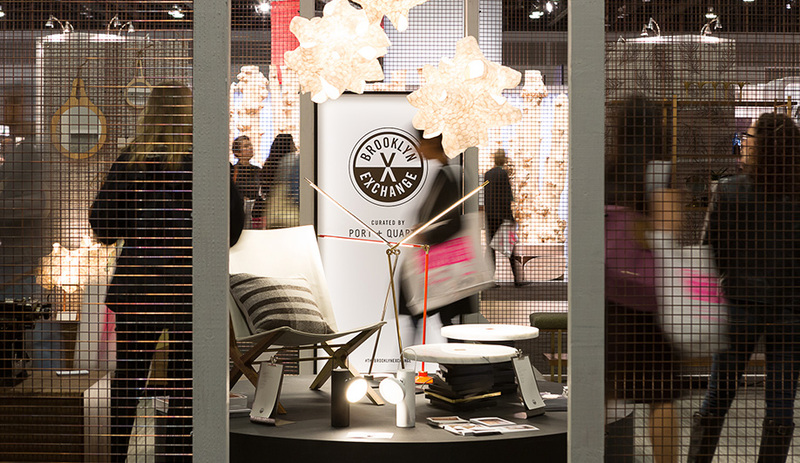 New lights by local designer Lukas Peet shone at various booths, including at Azure’s. (The talented Vancouver designer is also featured in our October issue.) 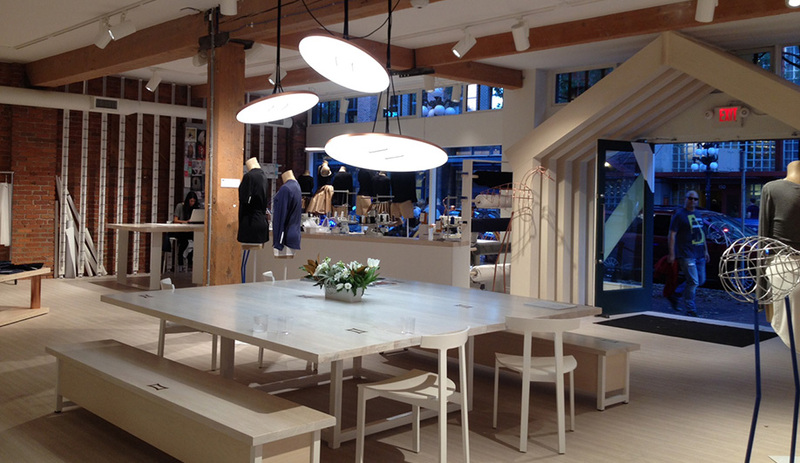 A trio of his Button pendants also illuminate a central communal table at Kit and Ace, a casual clothing boutique in Gastown newly launched by the son and wife of Lululemon owner Chip Wilson. The pair have created a sporty yet luxurious fabric blend called qemir, made up of 81 per cent viscose, nine per cent cashmere, and 10 per cent elastane. 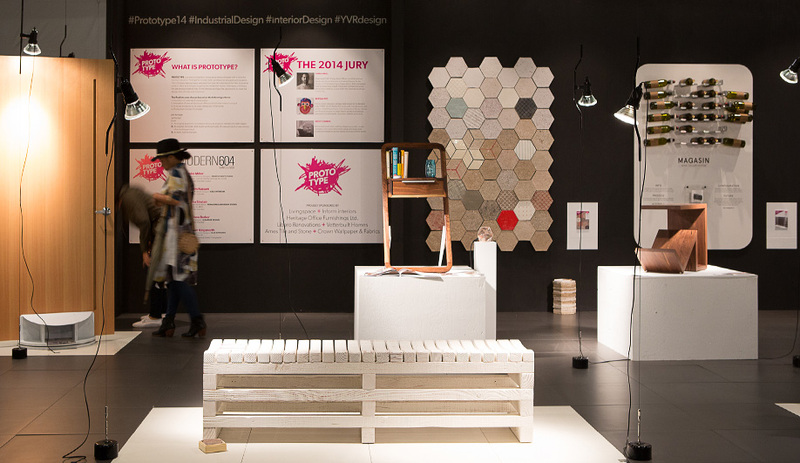 The top prize at Prototype, an inaugural exhibit showcasing innovative design, went to VanAir Door (left), which integrates a ventilation pathway, allowing for air flow in and out of enclosed spaces. 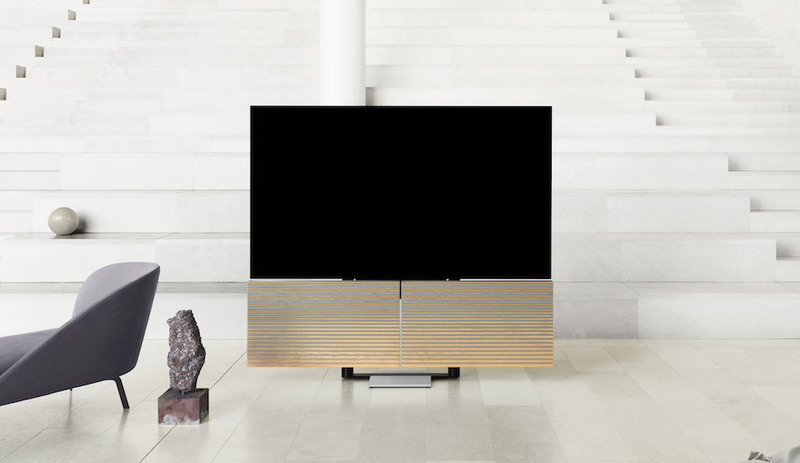 The slit also employs acoustic attenuation technologies so the door remains a sound barrier. Still in development, VanAir was conceived by a team of students at the University of British Columbia’s faculty of applied science and commerce. 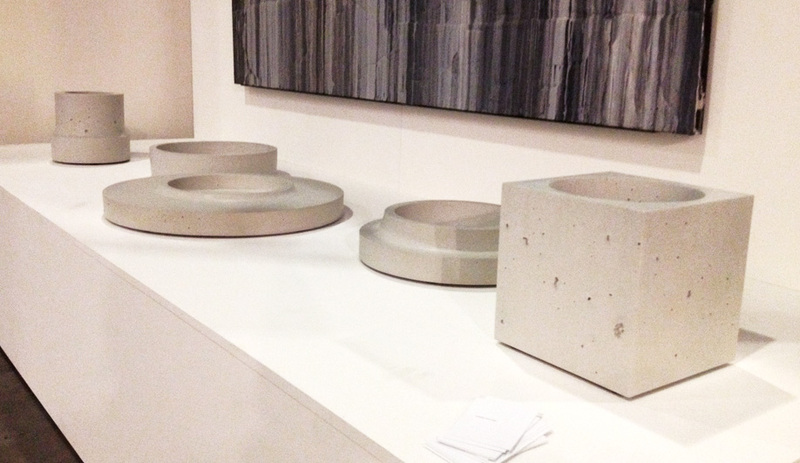 Lots of designers have used concrete to make tabletop objects, but Steven Pollock’s are as creamy as porcelain. His beautifully understated vessels take the form of column bases. Available through Inform Interiors. 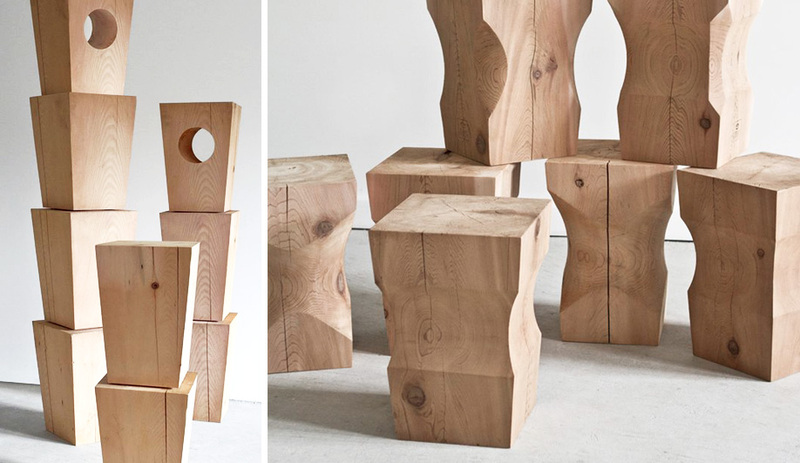 6 Stools by Barter Design Co.
One-year-old collective Barter Design Co. is in love with nature, and with Vancouver’s easily accessed supply of fresh lumber. At the entrance of IDSWest, the studio built towers of raw wood formed into giant bark-covered teepees, and, further along, they set up a small café furnished with stump-shaped stools made of cedar from timbers felled on Vancouver Island in the 1880s. Vancouver and Brooklyn share an affinity for slow design and products made from natural materials. The artisanal kinship was writ large at Brooklyn Exchange, a booth curated by local interior design firm Port + Quarter, where four designers from the New York borough showed off various handcrafted objects, including Asher Israelow‘s table studded with tiny brass discs that read as a constellation of stars; and Patrick Weder‘s pendants and sculptures delicately crafted out of chicken wire. The tactility of it all read as cozy, caring and real. 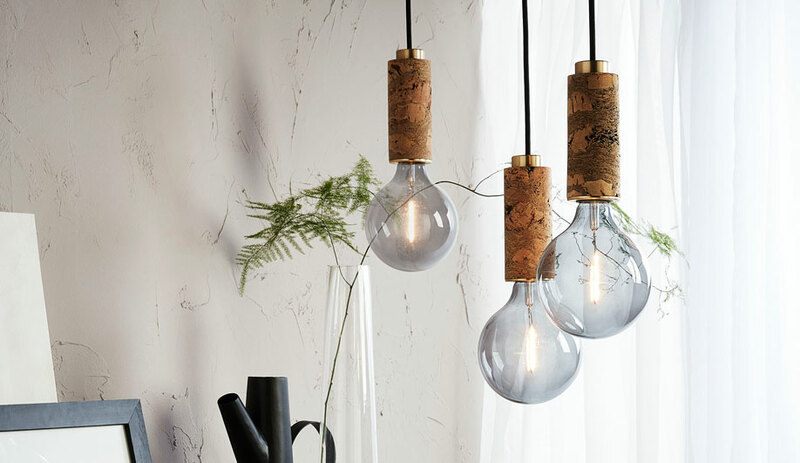 Another local firm to watch is Hinterland Design, run by Riley Mcferrin, who turns Vancouver’s famed indie style into a unique kind of rustic avant-garde. Tidal Flux, a side table that doubles as a casual seating option, is topped with a hand-knotted pattern made of cotton rope. The Hinterlanders describe it as a “beautified version of a Pacific Northwest crab trap” that is inspired by the knots fisherman use to mend their nets. 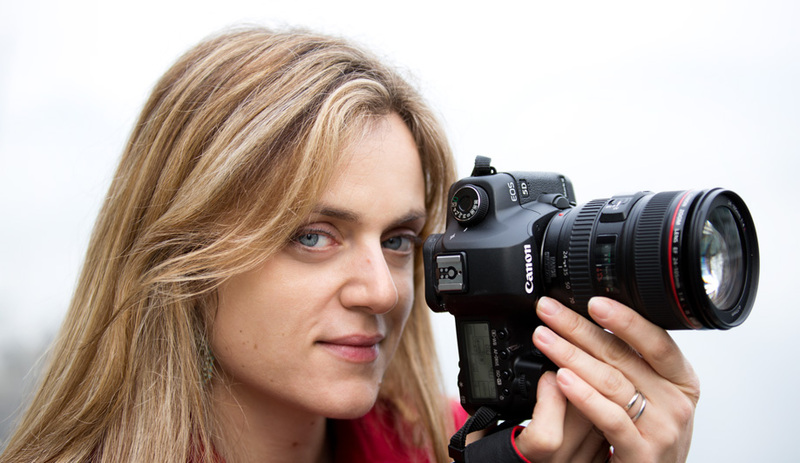 One of Vancouver’s leading architecture photographers, Ema Peter (whose images have appeared in the pages of Azure multiple times) candidly gave away some of her trade secrets at her lecture. Listeners found out, for instance, how to shoot fluorescent lights without getting hotspots (snap within microseconds of the light heating up to its peak intensity). Her fascinating talk pulled the curtain back on what goes into a photo shoot, the details no one knows about besides the photographer and her assistant. 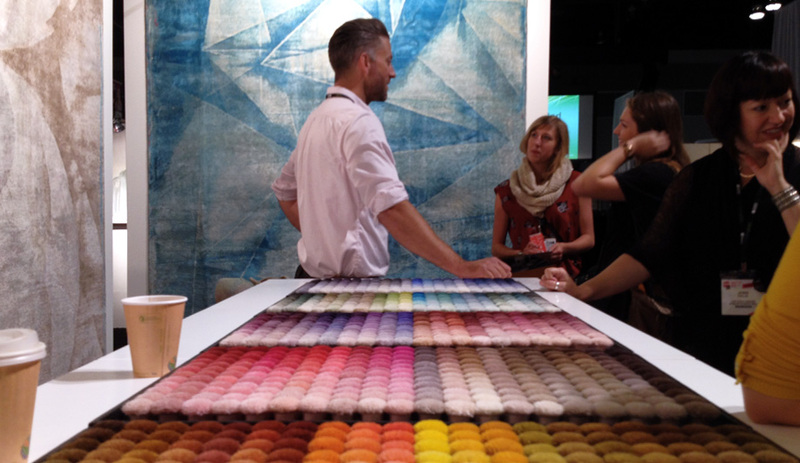 We noted these beautiful carpets in our preview to IDSWest, and they turned out to be just as rich as we had expected. 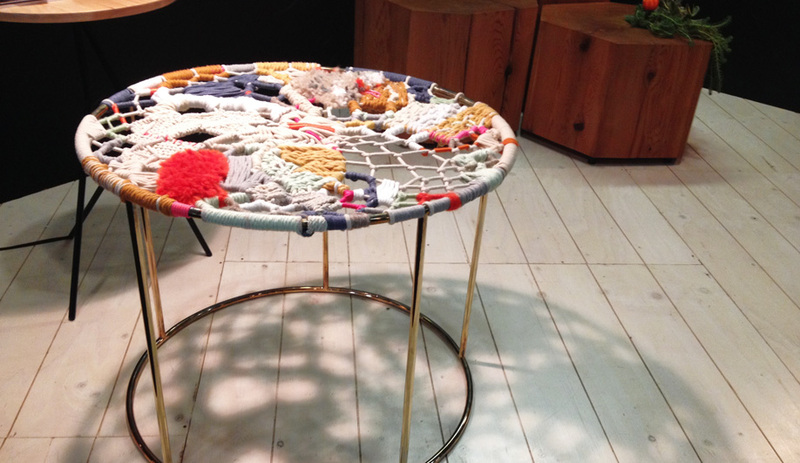 German designer Jan Kath works with small family weaving businesses from around the world. Showing off his new Erased Heritage collection, Kath described how weavers traditionally sing the looming instructions as they work. “The loom masters read out the commands such as ‘seven coral red,’ five garnet,’ and so on. 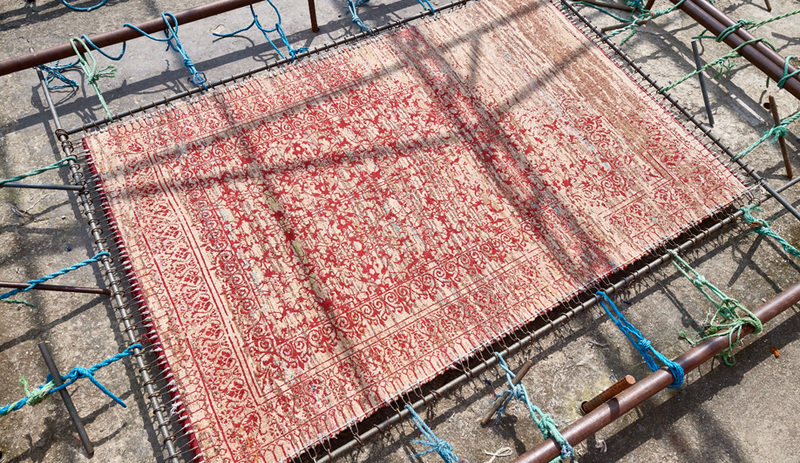 He then translates this information into a chant and sings the next steps to those tying the knots.” It’s labour-intensive to weave a carpet, but this sounds like poetry in motion.